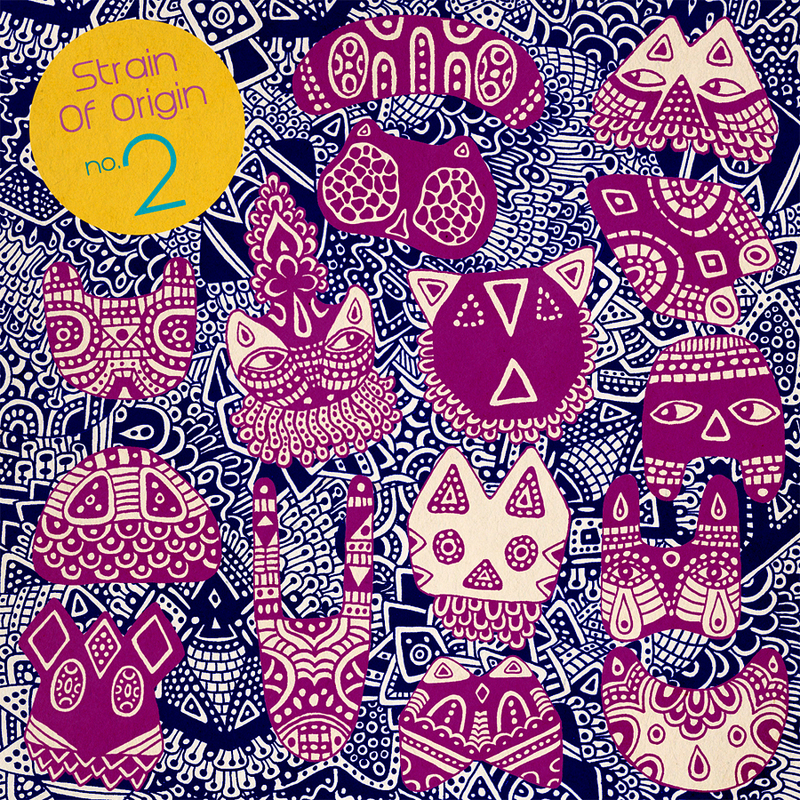 In late 2010 Feral Media and Brisbane label Lofly jointly released The Strain of Origin, a free compilation featuring artists from each labels roster remixing each other in a bid to determine who would reign supreme in the experimental music scene on Australia’s fertile eastern coast. The resulting compilation garnered critical praise for its originality and contribution to the Australian electronic music community, receiving widespread national airplay and taking out the coveted Album of the week spot on Sydney’s FBi radio. After the success of the release the idea of a second compilation was proposed and in early 2012 the wheels were set in motion. This time around the labels went beyond their own rosters and extended the call out to a number of like-minded artists who have helped push the project into a new realm both geographically and stylistically. The new artists invited to participate in the project include AXXONN, Ambrose Chapel, Anonymeye, Dot. AY, Elroy 4.0, Jonathan Boulet, Mystery Twin (who also provides the amazing covert art for the release), Outerwaves, Simo Soo and Zeal. These contributions are bolstered by return performances from Feral and Lofly artists AFXJIM, Aheadphonehome, Alpen, Broken Chip (aka Option Command), Comatone, Mr Maps, Restream, Subsea, Thomas William, Toy Balloon and Underlapper with Feral artist Gentleforce also joining the ranks. The compilation traverses genres with the resulting tracks as varied as the artists themselves. From the pulsing ambience of Broken Chip’s take on Toy Balloon, to Comatone’s assaulting drill n bass reworking of Simo Soo, to Zeal’s all-out indietronic take on Underlapper’s track Himpory. Elsewhere Restream turns 8-bit maestro Dot.AY’s track into a stomping glitch freak out, while Jonathan Boulet takes us on a ride through desert plains with his spaghetti western reimagining of Brisbane artist Subsea. The Strain of Origin compilation is a great example of what can be achieved through remote collaboration and is a true testament to the high standard of music being produced on Australia’s fair shores. This second compilation establishes a precedent for an annual release with new Australian artists and labels to be added along the way. These compilations are released free of charge for your listening pleasure.